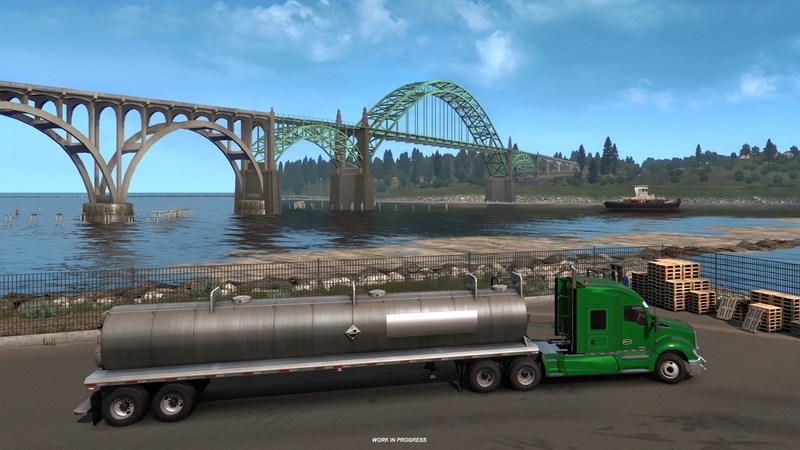 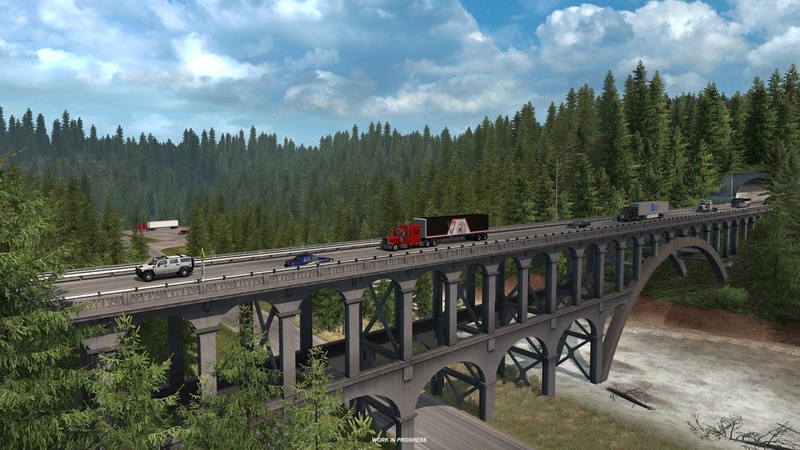 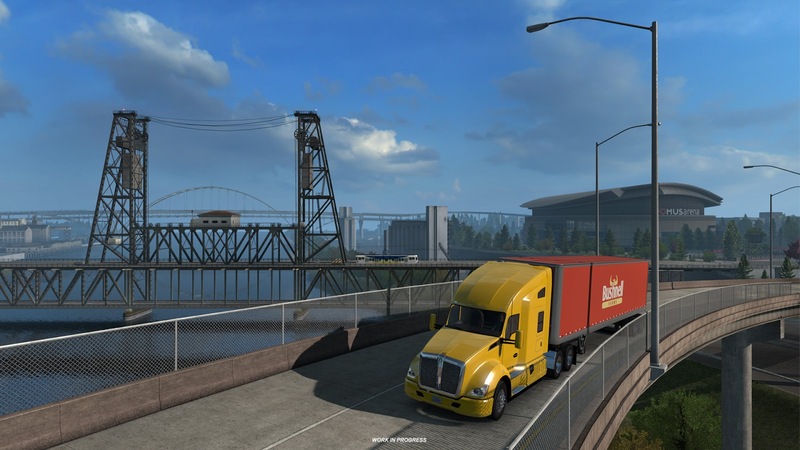 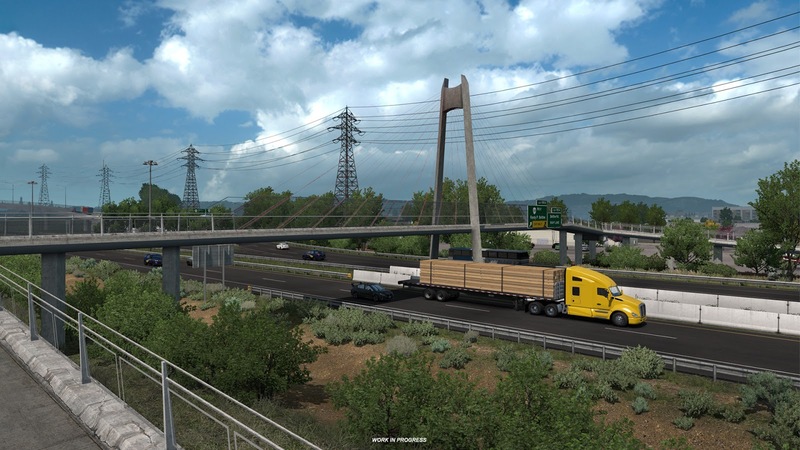 Let us bridge the time until the release of ATS Oregon DLC by a post showing some of the bridges featured in the map expansion. Thanks to a plentiful amount of rivers in Oregon, our DLC will also contain a considerable number of bridges. 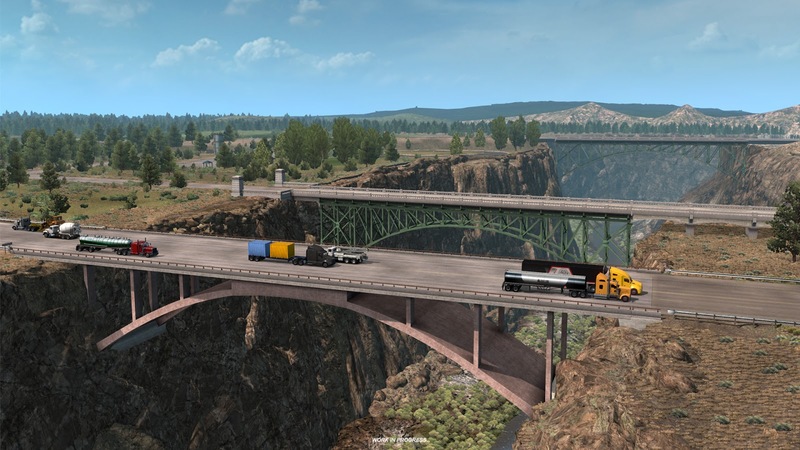 We've just shown some major bridges while introducing Portland, but there are way more of them scattered around the state! 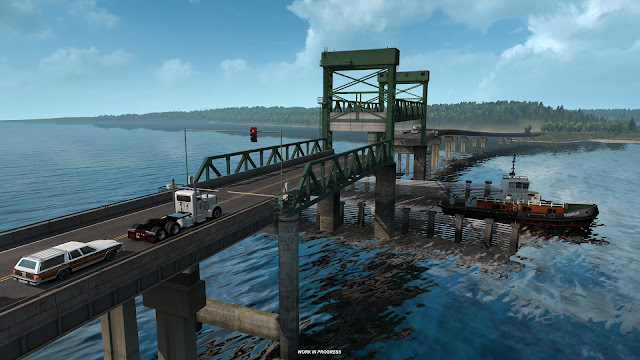 Bridges are landmark objects in the game that are experienced really up close, whenever the player's truck is crossing them. We need to provide a lot of detail, they are not a cheap 3D asset to build quickly. 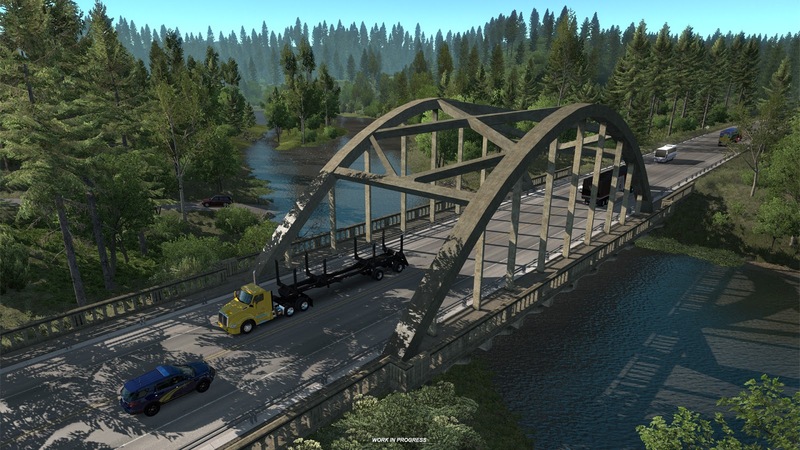 As each bridge structure and the terrain configuration around it is unique, bridges ask for solid planning and coordination across our teams. We can see the light at the end of the.. bridge. October is getting closer, as is Oregon!